Streetmachine and Chocolate Celebrate Three Skate Capitals With The Second Edition of the "City Series"
After hitting us with Part I, Streetmachine and Chocolate keep this dope partnership going with their "City Series" Collection. Part II of the release puts a modern spin on Streetmachine&apos;s 1998 classic Skyline Series. 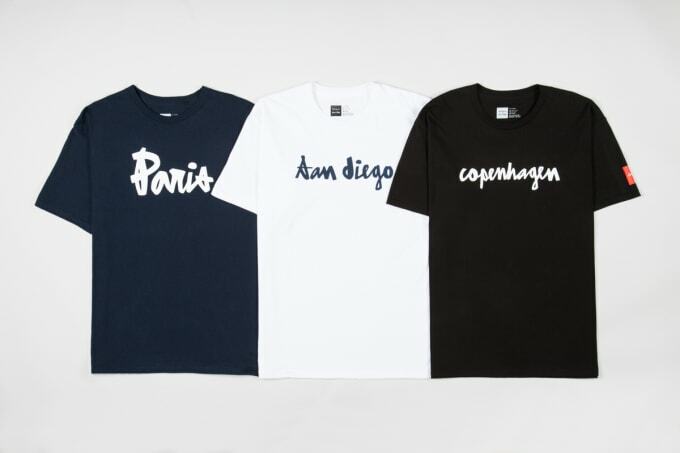 The Copenhagen-based shop is putting out this drop consisting of T-shirts and skate decks, each paying homage to three global skate capitals that Streetmachine had retail locations at the time: Paris, San Diego and Copenhagen. Each tee comes in a variety of colorways, all while sticking to the classic Chocolate typography. If you want to re-live a golden era of global skating culture, head on over to the Streetmachine webstore to cop your new gear.